To present the findings of combined oral assessment and gustometry testing of a series of head and neck and hematologic malignancies in patients with self-reported taste change after cytotoxic therapies. Patients with acute myeloid leukemia (AML), multiple myeloma (MM), and head and neck cancer (HNC) were evaluated for taste function. Chemical gustometry was conducted assessing chemosensory qualities that included sweet, sour, salty, bitter, umami, and spicy. NCI Common Terminology Criteria for Adverse Events (CTCAE) 4.0 and the Scale of Subjective Total Taste Acuity (STTA) were used to describe taste symptoms. Saliva flow rates were measured to determine the presence of hyposalivation. Patients were provided treatment trials for taste dysfunction, including zinc supplements, or medications that included clonazepam, megestrol acetate, and the cannabinoid dronabinol. According to STTA, hematology cases reported the incidence of grades 2 and 3 taste disturbances as 60% and 40%, respectively. For HNC patients, the incidence of grades 2 and 3 was 44% each. Gustometry tests confirmed dysgeusia in all patients evaluated. In the hematology group, 80% of patients exhibited a decrease in sweet taste perception, and no patients correctly identified umami taste. In the HNC group, most patients could not identify salt taste, 66% of patients reported “no sensation” with spicy taste, bitter taste was reduced in some, and increased or altered in others, while only one patient could identify umami taste. In the hematologic and HNC patient groups, 80% and 66% reported grade 2 dry mouth, respectively, according to CTCAE 4.0. After treatment for taste dysfunction, 71% of all patients in the present study reported improvements in taste function. Persisting dysgeusia in cancer survivors may be assessed by patient report and taste testing. The taste most affected in our patients was umami. 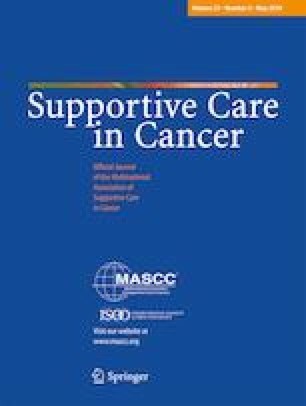 Treatment trials with current interventions for dysgeusia appeared effective and should be considered in cancer survivors. Understanding taste and flavor function during and following cancer treatment is important in developing rational prospective preventive and interventional strategies. Taste strips were developed with funding from a Targeted Small Grant from Temple University. The authors declare that they have no conflict of interest. The authors have full control of all primary data and agree to allow the journal to review the data if requested.